Are you now in the need of a mortgage? Have chosen your dream home? Are you interested to refinance your mortgage for a better rate? Are you in the look for cheap money to borrow? Interested to learn of how to borrow for less than 3% rate? Want to know the way to pay off your mortgage faster and be mortgage free? What about to use your home equity to pay off bad loans? How to turn 29% credit card debt into 3% debt to reduce stress and get your life back? 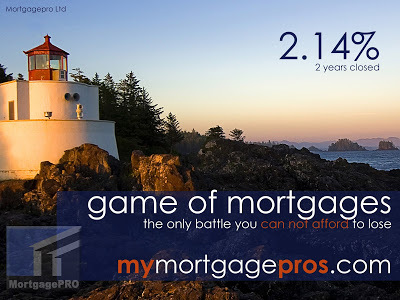 MortgagePRO professionals are standing by with FREE advice to show you the light at the end of the tunnel. Use your opportunity not only getting mortgage, but also financial advice. This mortgage brokerage is your best bet. Headquartered in Calgary Alberta, serving Canadians across our land since the turn of the century, MortgagePRO is here to help. Here is to click to change your life for the better!